Apple has officially cut down the price of the HomePod from $349 to $299. Needless to say that the competition in the wireless speaker space has heated up. The HomePod is Apple’s attempt to rule everyone’s living room with a high-quality speaker that can spit out music at a moment’s notice and allow users to interact with Siri in order to control HomeKit stuff. But that attempt is a fairly expensive one given how cheap competing products are. 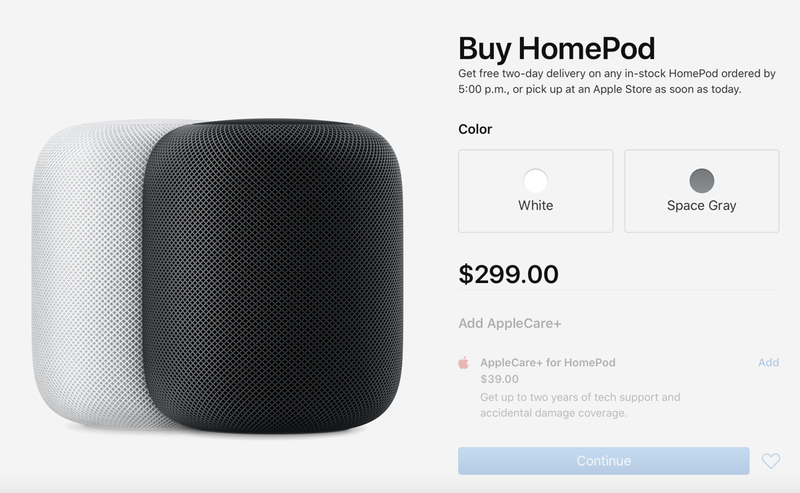 It seems as though Apple has realized that problem, therefore it has officially brought the price of the HomePod down to just $299. That’s a giant leap from its original $349 price tag. Now, though this might prove to be a big win for the consumer, finally allowing users to jump onboard with a bunch of savings, but it’s a bold move on Apple’s end as well. According to John Gruber, Apple sells the HomePod at a loss and the company makes no profit from it at all. So if Apple has brought the price down to $299, therefore it’s safe to say that it is going to poke a dent in Apple’s own wallet in the long run. But given the smart speaker market share and how it is dominated by the likes of Amazon, it’s best to assume that this price drop might not even do wonders. After all, majority of the users out there are going to buy the HomePod majorly for listening to music. If your service of choice is Apple Music, then you actually don’t need to buy a HomePod for it as the service can be streamed on an Alexa smart speaker as well. Given that the HomePod tightly integrates into the Apple ecosystem, with no support for third-party platforms, therefore the HomePod is still a brutal skip for everyone else. But still, if you are an iOS or Mac user and wanted to get the HomePod with a straight up discount then now’s the time to do as the price has been cut down officially by the Cupertino giant itself. Do you think the HomePod is a far better purchase at $299? Let us know in the comments section below.